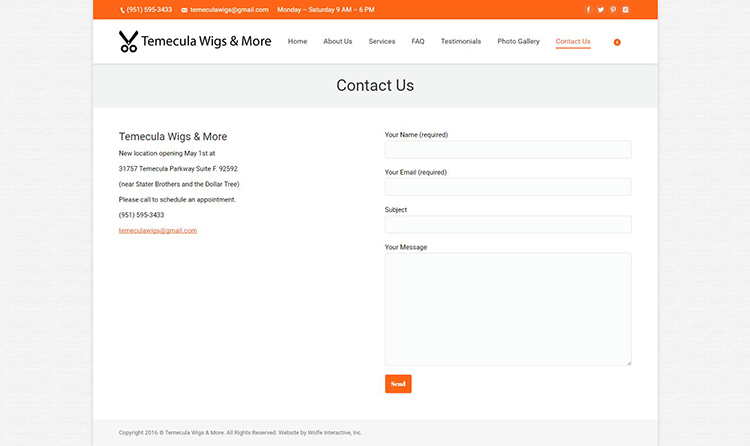 Website design for Temecula Wigs & More. Client wanted a mobile responsive website to showcase her hair system products and services. The client is a small business owner in Temecula, CA and wanted to be able to update the site herself.